Forget Smokey and the Bandit. Commercial truck driving has a reputation for grueling hours, weeks away from home, and a burly machismo that isn't particularly welcoming to women. It’s high time that reputation got a makeover. A 2017 report by the American Trucking Association noted that the industry needs to hire almost 900,000 more drivers to meet rising demand, while the latest jobs report noted that 185,000 jobs have been added over the past four months alone. Bottom line: this sector is getting desperate for talent, and the problem is only worsening. 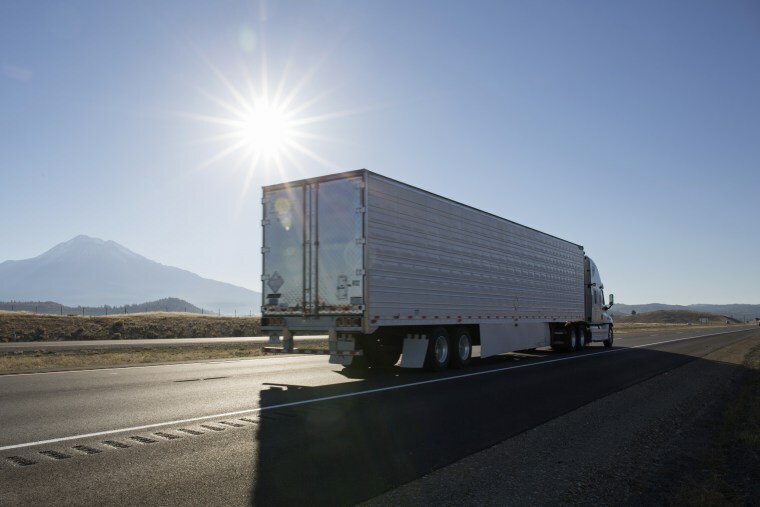 Young people looking at a first or new career may be disenchanted by commercial trucking not only because of what Gilbert describes as an “arduous lifestyle,” but because they need a special kind of license (CDL) to qualify. Though some companies offer free training (tuition can cost up to $8,000), that’s hardly the standard, and either way it’s a solid investment of time. You also need to meet physical and health requirements, and, in what is perhaps the biggest obstacle the industry sees here, be at least 21 to cross state lines. Neil Abt, senior editor at Fleet Owner, noted that there are efforts in the industry to “create graduated licensing programs that would allow 18-20-year-olds into the industry, as opposed to them starting a career elsewhere and being gone by the age of 21." However, the larger issue in appealing to younger adults seems to point to deeper roots. Abt notes that in recent years there has been more recruiting from companies via social media, which is “a good start”, but Story observes that companies are struggling to lure fitting candidates — and it’s hurting their wallets, especially if they’re shelling out higher pay to retain top talent. One company that seems to have found a solution, at least for itself, is UPS. Dan McMackin, public relations manager at UPS and a former truck driver himself, told NBC News that while the company does have to get creative during the Christmas season to bring in new workers, the company isn’t facing any general shortage of drivers. McMackin adds that while he’s not certain of the stats, the job does skew mostly male, but that said, some of the best drivers he’s ever worked with have been women, and he hopes to see more taking the wheel. That most truck drivers are men is a critical point, and an area where the sector has the most advancements to make. Driver perks can include full pension, full healthcare, and a company-matched 401(k). Ellen Voie, president and CEO of the Women In Trucking Association (WIT) is working to bring a sense of community to women drivers, as well as to foster initiatives that could attract more female truckers. Right now, only seven percent of the commercial trucker workforce is female. That number may have perhaps made sense 20 years ago, when you needed some brawn to navigate these massive vehicles, but trucks are so much more efficient today. Currently WIT has over 4,000 members, mostly in North America. The organization touts a Facebook group, a weekly newsletter, a quarterly magazine, various workshops and events, and an annual conference. Additionally, WIT works with manufacturers to provide women’s feedback and suggestions. A subject that has been sending jitters through the trucking industry at large is the slow but certain rise of self-driving vehicles. Drivers worry that these will replace their jobs, and this only deters young people more. Why join a workforce that will be obsolete in a decade? But some experts think that autonomous trucks could only help solve just about every problem the trucking industry has right now, including those of employees. Also, a truly autonomous vehicle isn’t going to be standard anytime soon — not when you consider just how much is involved for safety and security. With self-driving trucks, maybe the driver won’t have stare out of the window all the time. But even when it does happen, drivers shouldn’t think it means they’ll be out of work. If anything, they’ll just work differently, and perhaps more enjoyably. “Maybe the driver won’t have to be staring all time out the window, and can do other things,” said Abhishek. “I can’t predict the exact business model, but I am certain that the whole trucking experience will change such that it will be appealing to young truck drivers. They’ll be attracted to the technology, and because the truck has so many safety features, they won't need as much experience."